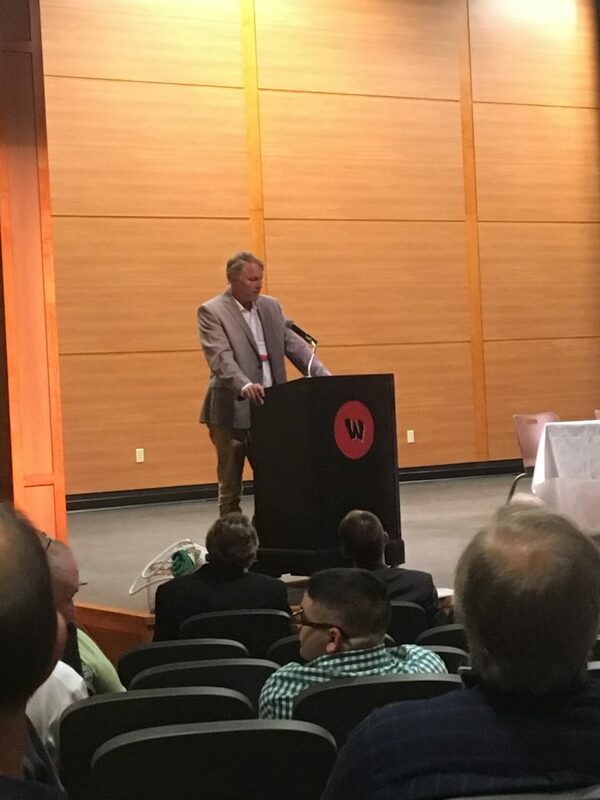 Wells, ME – A number of members of the NH Coastal Adaptation Workgroup (CAW) attended the 2017 Beaches Conference on July 14 at the Wells High School in Wells, Maine. 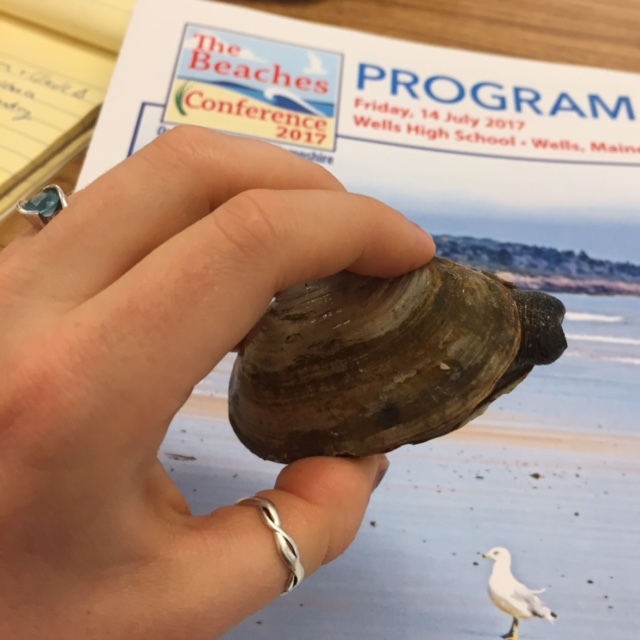 The first Maine Beaches Conference was in 2000, and this year’s – the 11th – was the first to include New Hampshire as well. 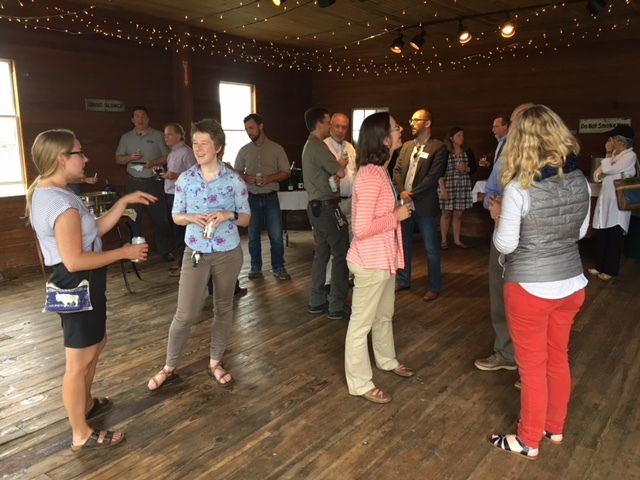 Over 200 people attended, with sessions on a wide range of topics, from using unmanned aerial systems for habitat mapping to aquaculture curriculum, marine mammal rescue, coastal law and policy issues, and much more. 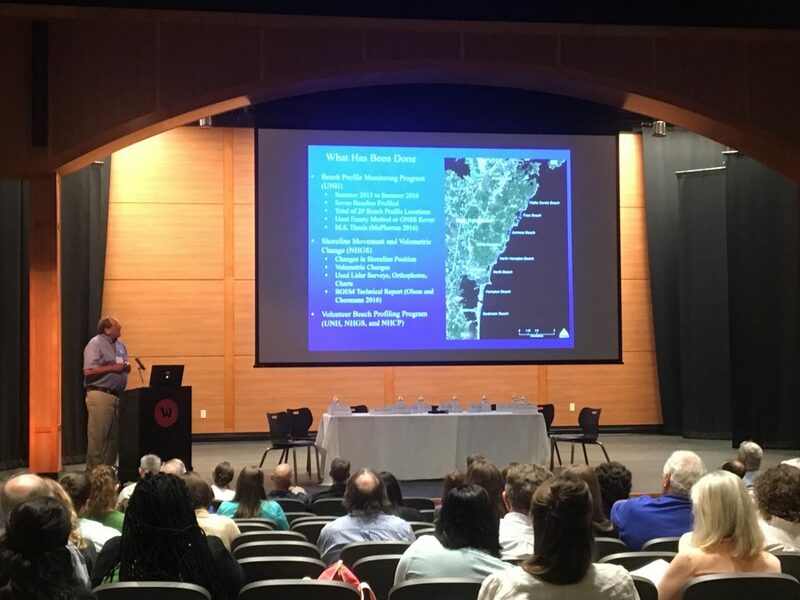 Steve Miller (GBNERR) and Cameron Wake (UNH) led a session called “Effective Collaboration for Coastal Adaptation,” sharing CAW’s history, successes, and lessons learned. 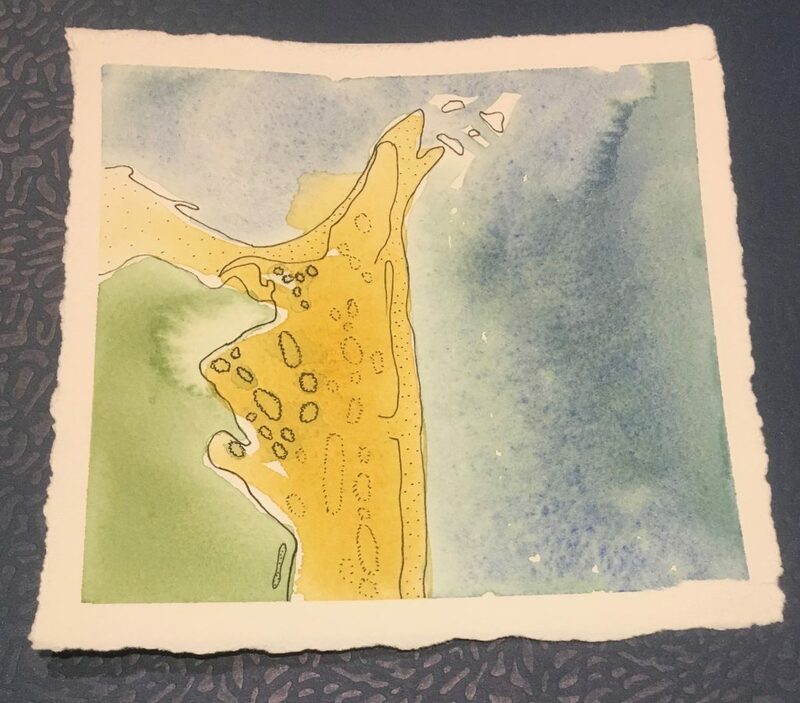 Cameron also participated in a panel called “Listening for a Change: Stories of Our Responses to Sea-Level Rise,” during which he shared perspectives about the NH Coastal Risk and Hazards Commission experience and the importance of engaged scholarship. 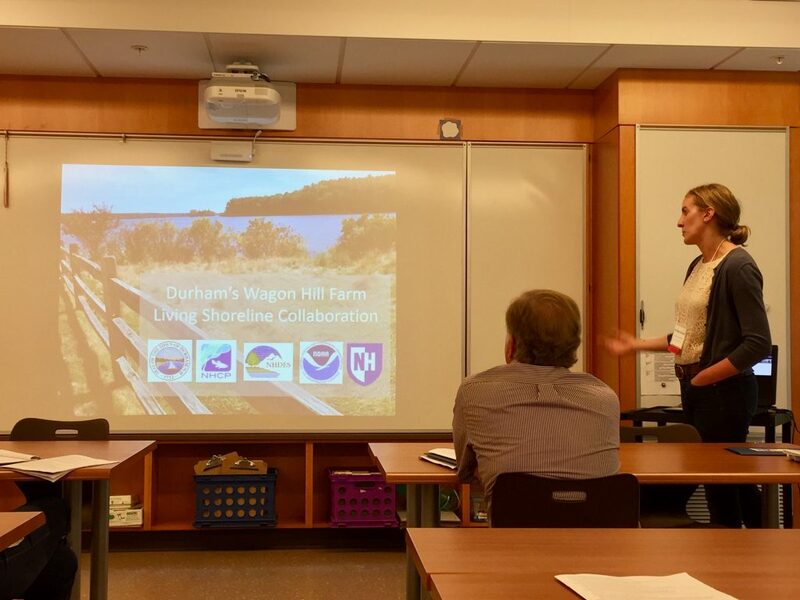 Kirsten Howard (NHDES Coastal Program) presented about living shorelines work in New Hampshire. Nathalie Morison (NHDES Coastal Program) shared a summary of the NH Coastal Risk and Hazards Commission report and ongoing implementation initiatives. 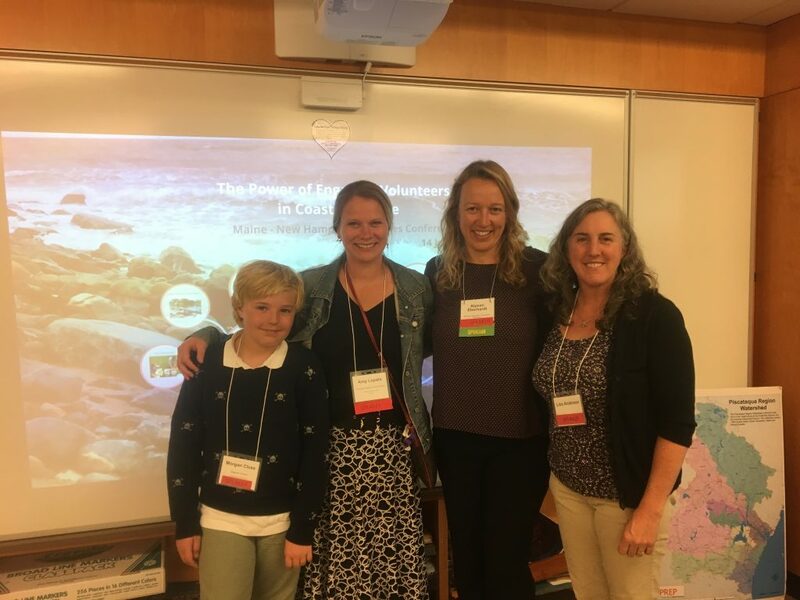 Alyson Eberhardt (NH Sea Grant and UNH Cooperative Extension) discussed the power of engaging volunteers in coastal science. 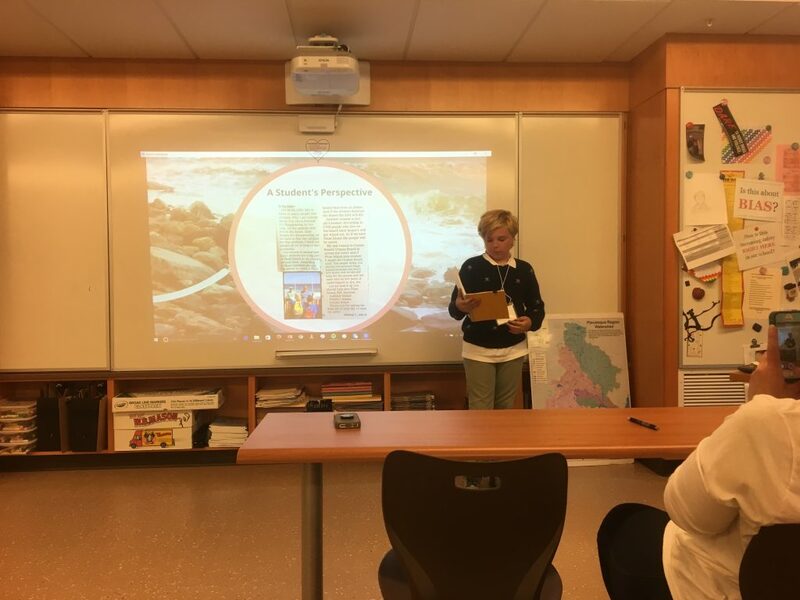 Abigail Lyon (Piscataqua Region Estuaries Partnership) presented about a citizen science effort to map and remove marine debris around the Great Bay Estuary. 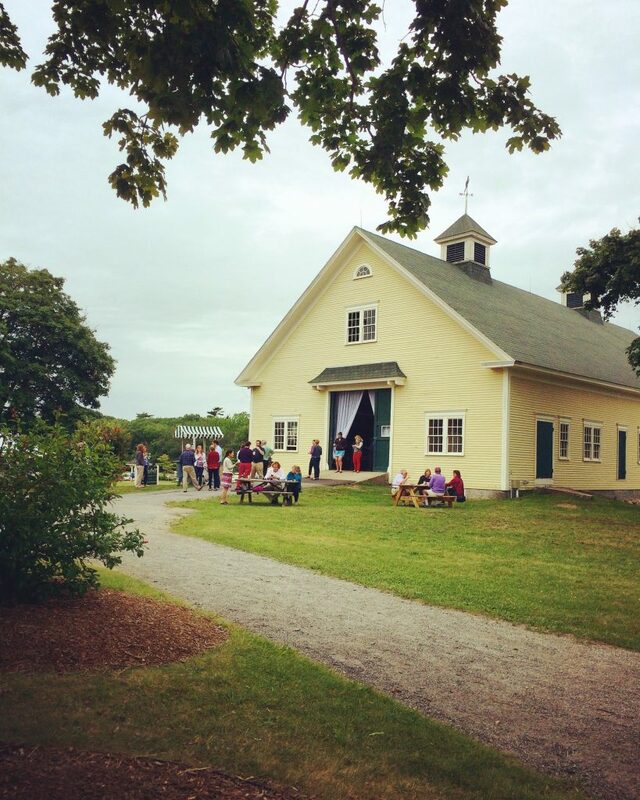 Information from the conference, including complete attendee list, presentations, and session notes will be posted on the conference website soon. 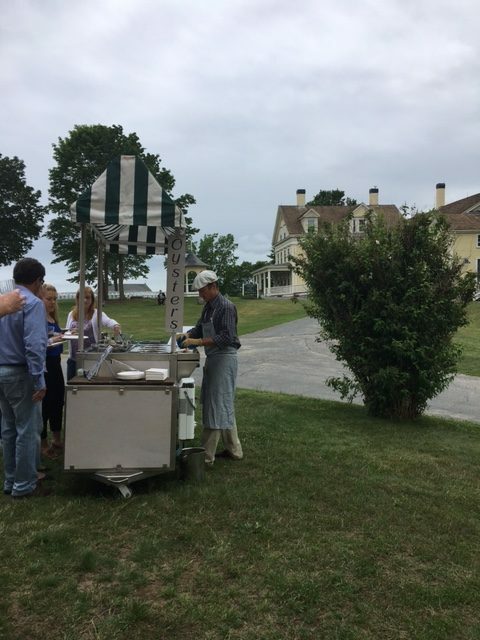 Check out the photos below for some snapshots of the conference and the “Coastal Social” that followed at the Wells Reserve.